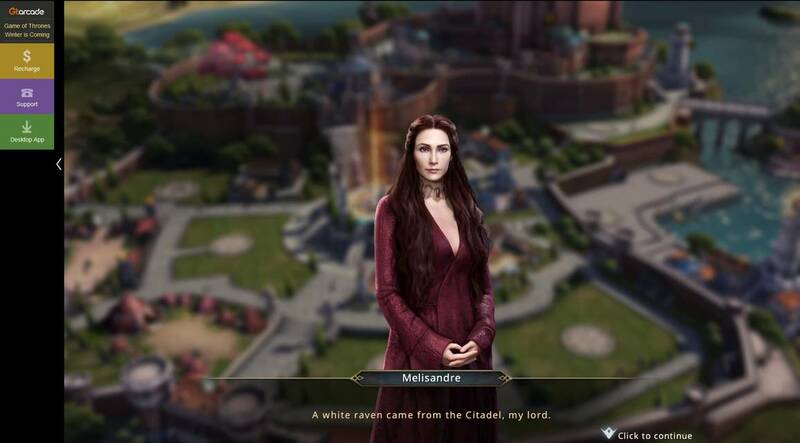 Game of Thrones: Winter Is Coming is an officially licensed Game of Thrones browser-based strategy game that's iconic, refreshing and ahead of the curve. 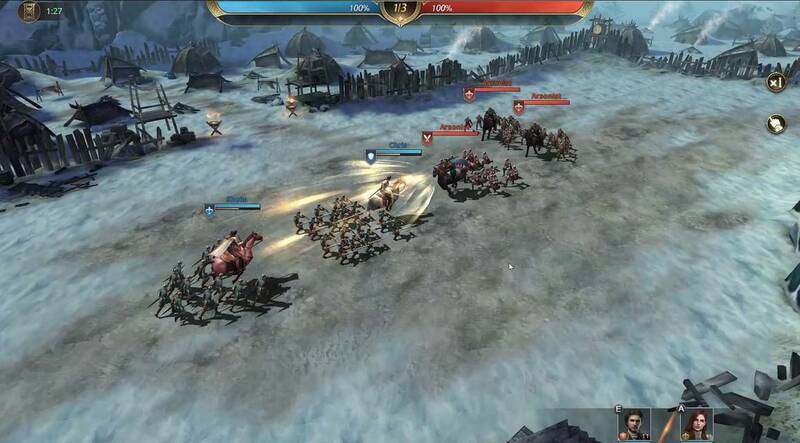 Players take on the role of a lord or lady and must build up their kingdom, armies and commanders to serve the realm. 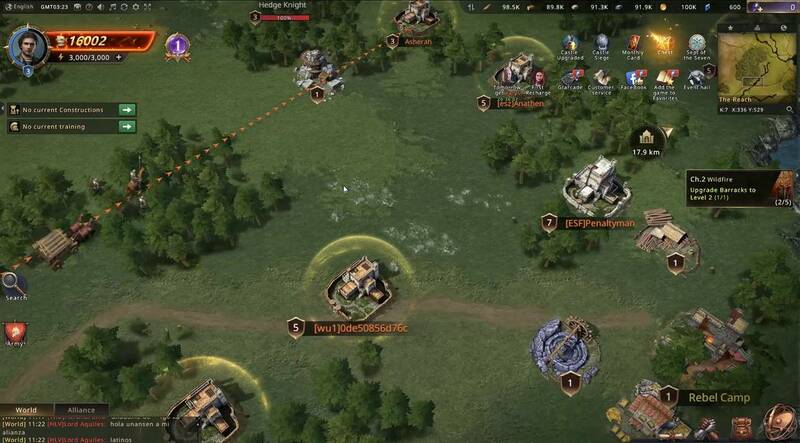 The game offers an adequate tutorial to get you started on the basics, and before long new players to browser strategy games will get the hang of things. You build, you research and you recruit. While these are expected of a game like this, there’s still plenty to see and do that will surprise players familiar with the genre, which we’ll discuss in the gameplay section. Game of Thrones: Winter Is Coming is also an incredibly authentic experience, as it is able to use the likeness of the TV show’s characters, locations and music, so fans of the franchise will be pleased. It’s also a full 3D experience and the graphics are phenomenal. The game offers multiple layers of gameplay that are both familiar and new. Beginning with the usual, players will be thrust into an empire building sim that requires you to increase the level of your kingdom and lord. 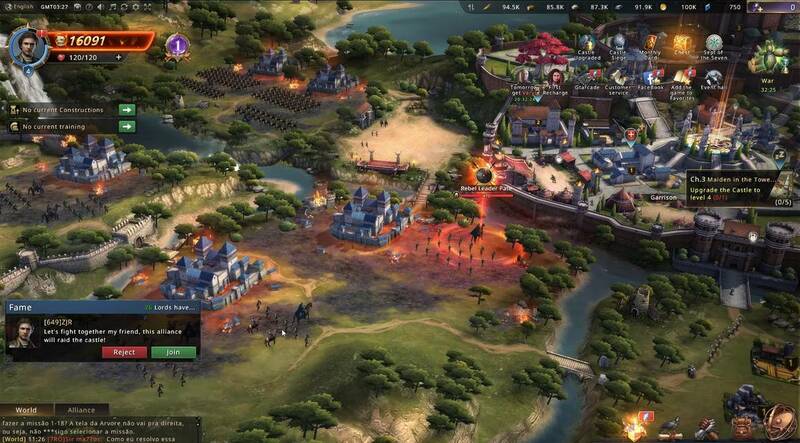 To do this, you’ll research technology, build new buildings, recruit armies, acquire and train commanders, and complete story quests. These are mostly time gated and can be sped up of course, and doing so rewards you with more resources and buffs. 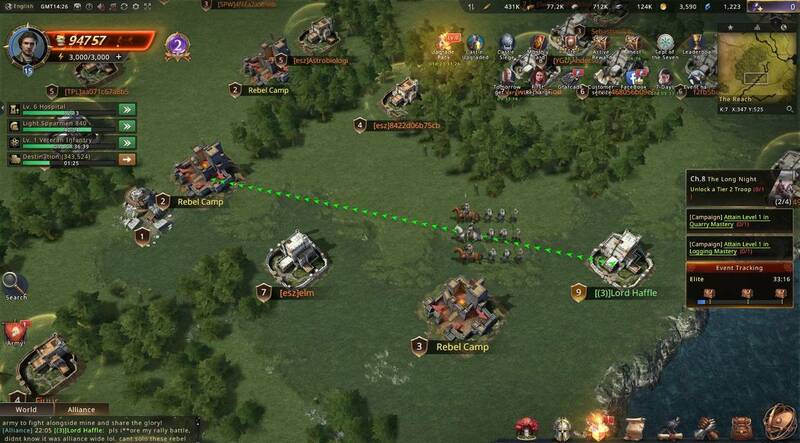 Resource management is also a staple and you’ll need to construct resource buildings or attack rebel camps, other players and resource nodes on the world map with your army to bring them back. That’s pretty much the usual gameplay that this genre utilizes. Elsewhere, fresh gameplay elements like RPG mini-games introduces an interesting twist. 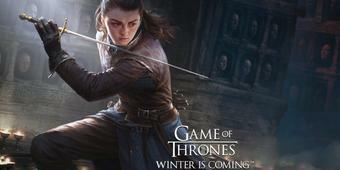 Players can collect commanders like Sansa Stark, Lord Varys and other iconic characters from the TV show. They can then be equipped with gear, earn XP and battle in tower-defense mini-games that requires you to set them in formation and tackle difficult bosses to earn more rewards for both your commanders and your kingdom. This part of the game actually uses a real time 3D battle engine that’s pleasant to witness and you can either take manual control of the battle or simulate it. Manually controlling the battle lets you use your commanders skills and abilities which is important in hard fights.This is also an important way for progression, and the RPG element fills a void in an otherwise stale genre. Partaking in these tower defense games require Stamina however, which replenishes each hour but do them sparingly in between kingdom building to maximize your fun in Game of Thrones: Winter Is Coming. One of the best features of Game of Thrones: Winter Is Coming is the way it forces players to work together. Like most browser strategy games, the MMO element is unavoidable. 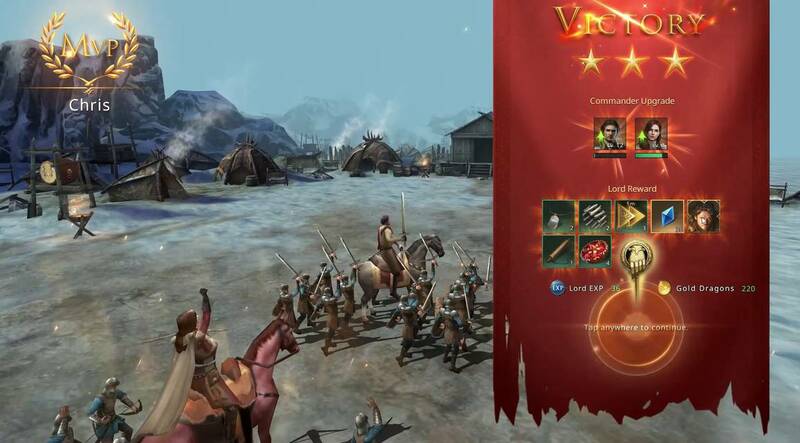 Social systems like guilds and alliances become important for diplomacy mechanics like trading resources, rallying armies to attack a coordinated target and more. In Game of Thrones: Winter Is Coming these exists but are put to really good use. Joining an Alliance is extremely beneficial because of the Help feature. 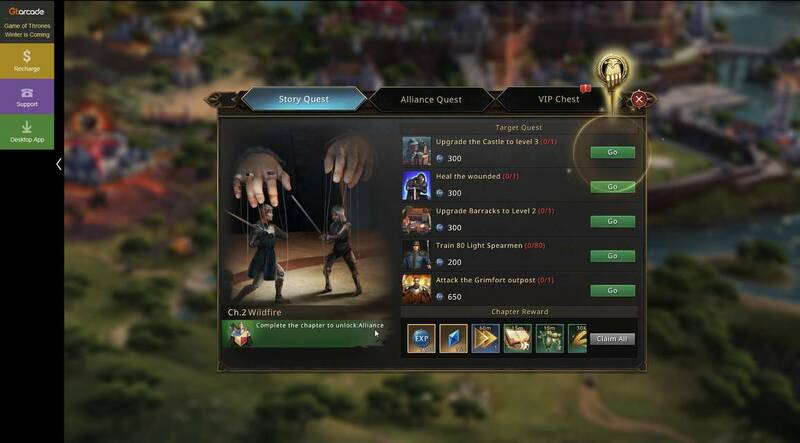 When building, upgrading or researching something within your kingdom, you can ask for help from your alliance by clicking that button. Everyone in the alliance will then see it, and a simple click will help you reduce the time it takes for the task to complete with the ratio of 1 minute reduced for each 1 player within the alliance who responded to your help request. This is a fantastic feature that rewards group play that no other game has utilized as well as Game of Thrones: Winter Is Coming does. 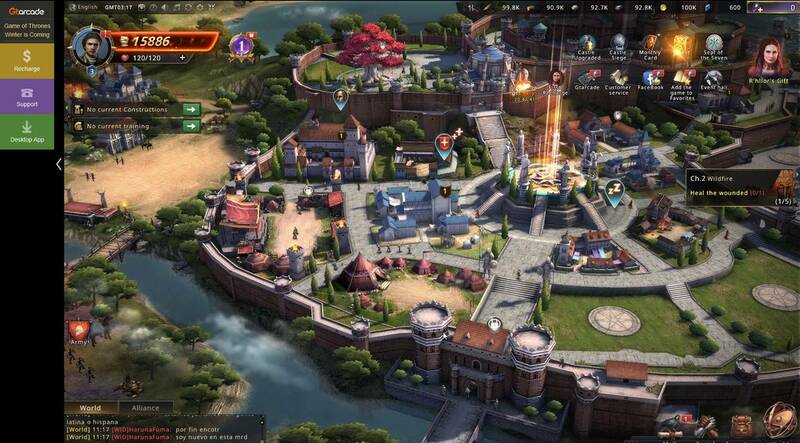 Otherwise, most of the usual MMO systems exist, from trading to group attacks. But the other interesting feature the game has for Alliances is occupying a Great City. On the world map, many of these cities are actual iconic locations in Game of Thrones, like Winterfell, King’s Landing, Dragonstone and Sunspear to name a few. These cities are neutral at the start of the game, and can be occupied by a member of an alliance. 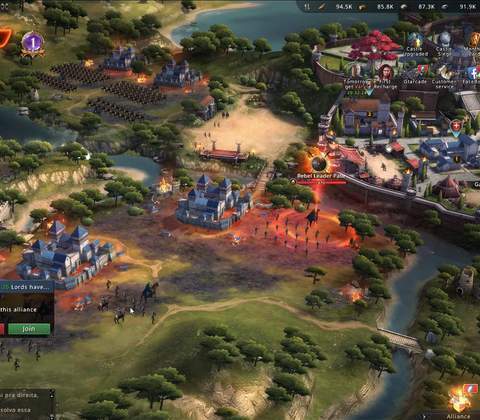 When occupied, the entire alliance receives buffs to their kingdoms, units and more which makes this an excellent end-game meta for alliances and players will fight over these cities for the right to rule. Once enough power is accumulated, the alliance can then rule the Iron Throne which is to be crowned the kings of the world. This cannot be achieved by a solo player which is why alliance and group play matters in Game of Thrones: Winter Is Coming. Like most browser-based kingdom builders, Game of Thrones: Winter Is Coming is no different when it comes to monetization. Games like these often begin as a free to play bait for gamers, and then introduce micronstransaction elements to help speed up gameplay. Everything from research, unit recruitment and building all take time to build and spending money to quicken the process is normal in this genre. 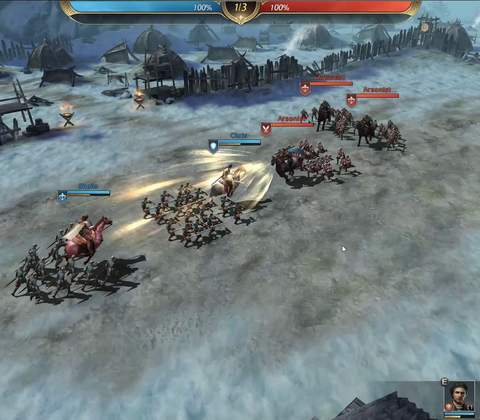 Game of Thrones: Winter Is Coming takes it a step further however, by introducing items that actually help in PvP warfare, like hastening the speed at which allied troops arrive to defend your city for example. This is a game changer that can definitely decide the outcomes of battles, and one could argue heavily that its pay to win. While that’s a fair argument in most cases, the game can be played without ever spending a cent but players must be smart about navigating this dangerous world through the strength of alliance and knowing when to use free buffs to get out of a sticky situation. You can earn plenty of free premium items like speed up boosts, non-attack periods and more for completing quest tasks and objectives so it would be wise to hoard them until the time is right especially if you don’t plan of spending real money. 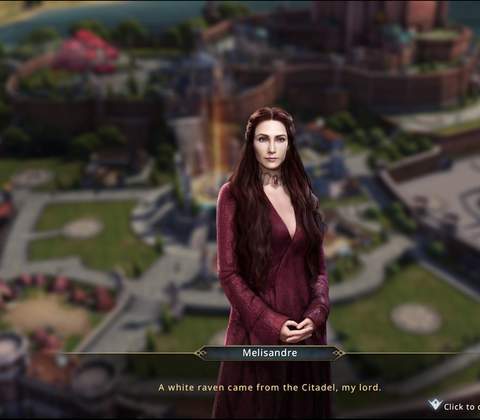 Game of Thrones: Winter Is Coming is without a doubt, a well-designed browser strategy game made for both fans of the franchise and of the genre. 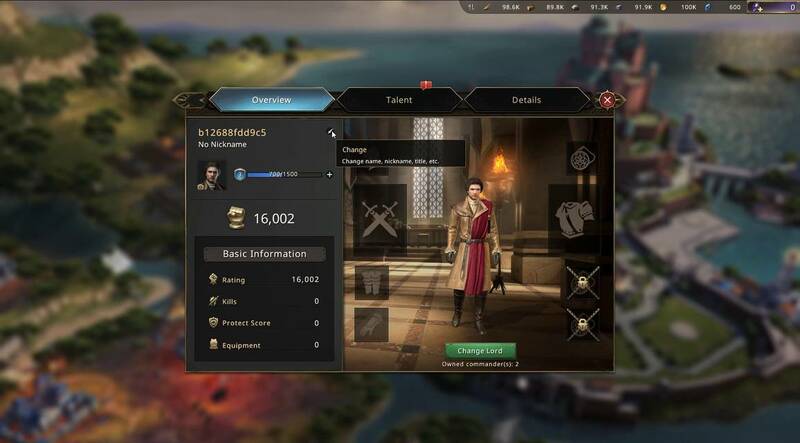 It offers plenty to do from kingdom building to RPG gameplay involving your commanders – the characters from the show and their journey to becoming stout warriors who can both enhance your kingdom for riches and plunder. It’s strengths are where other competitor games fall short with their lack of diversity in offering a management strategy sim that doesn’t bring anything new to the table. This game does, and it helps to have the Game of Thrones name associated with it for a large playerbase. All in all, this game is definitely worth checking out if you’re a fan of both. Pronto para entrar no mundo de Game of Thrones: Winter Is Coming ? Clique aqui para jogar agora! 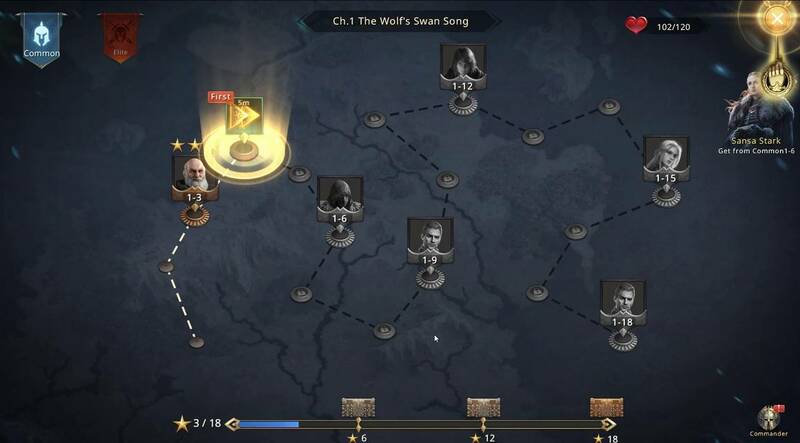 Game of Thrones: Winter Is Coming isn’t just a fancy officially licensed game, it brings much more layers of RPG depth to the strategy browser game genre that appeases both Game of Thrones fans and strategy gamers alike.